The inaugural Kata Rocks Superyacht Rendezvous (KRSR) last year wowed guests with some of the world’s most iconic superyacht brands and non-stop action. As Prestige can attest, it was the yachting event of the year in the region. This year, the Kata Rocks Superyacht Rendezvous returns from December 8-10, promising even more firepower. Set against a backdrop of the Andaman Sea’s lush cliffs, fairy-tale karst, and brilliant blue waters, Asia’s leading superyacht event signals the opening of Phuket’s luxurious charter season, offering superyacht owners a prime opportunity to showcase their flagship vessels. The KRSR is open to both sailing and motor yachts measuring over 24 metres in length that are visiting or based in Phuket. By invitation only, the event unites a personally curated guest list, including owners of Kata Rocks villas, superyacht owners, and industry professionals, as well as a mix of influential lifestyle, luxury travel, and yachting media from across the globe, including Prestige, which returns as a media partner. Infinite Luxury, the resort developer in collaboration with Kata Rocks, is again hosting the event. 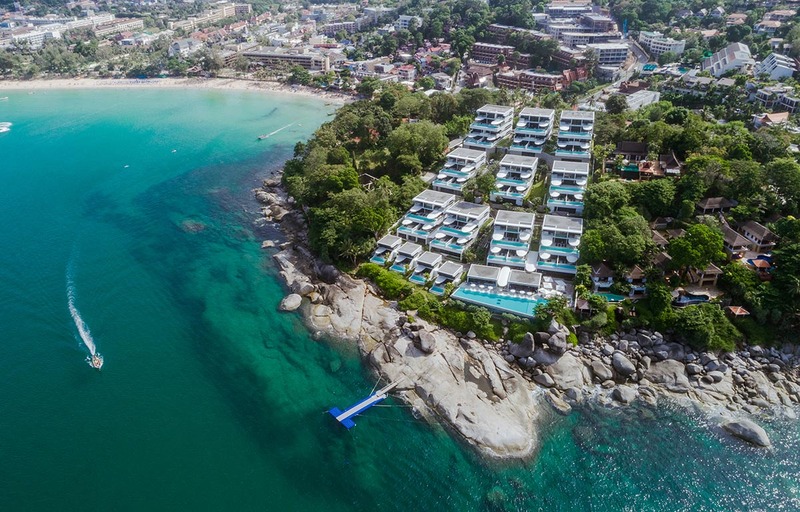 And they will be bringing back world-leading superyacht brands to Phuket, Southeast Asia’s yachting and luxury lifestyle hub. Last year, the KRSR welcomed 17 superyachts to Phuket’s west coast, including the 93m Lauren L and 51m Northern Sun. Expect an even more impressive turnout this year, and not just for yachts. A number of the tastemakers, trend-setters, and power players in Asia’s high society and the global yachting scene will attend the event, as well as authorities in yachting and luxury media. The highly anticipated return of Feadship to the KRSR has been confirmed. This year, the famed Dutch superyacht builder, whose roots date back to 1849, is a co-sponsor of the event. Feadship will also host the exclusive superyacht owner’s dinner for the second consecutive year. Meanwhile, Benetti, one of Italy’s most prestigious motor yacht brands, returns as a participating partner. The 144-year-old luxury brand will also host the Benetti and Vista Jet Owner’s dinner. Yes, that means Vista Jet, one of the world’s most innovative private jet companies, is joining in the action, too. Other partners include Burgess, Azimut Yachts, Camper & Nicholsons, Feadship, Hemisphere Monaco, Northrop and Johnson, Bristol Charter, Benetti, Princess Yachts, 77 Design, Lee Marine, Sea-Doo, Seal Superyachts, Royal Huisman, Sanlorenzo, Simpson Marine, Contest Yachts, VistaJet, Boat in The Bay and The Surin Phuket, where a private beach barbecue will be held on the second day of the event. Other can’t-miss events include a welcome reception on a superyacht, plus a cruise with the fleet to a secluded beach for the gourmet barbecue; a cocktail party hosted by Boat International; a “yacht hop” and “big boy’s toys” on the water showcase; and, the grand finale, the Rendezvous closing party, sending the Kata Rocks Superyacht Rendezvous off with a bang. Visit katarockssuperyachtrendezvous.com for the full programme details, as well as the latest news and updates about the Kata Rocks Superyacht Rendezvous. To request an invitation, please e-mail info@infiniteluxury.com.